T-Pain and Lil Boat pay tribute to the gun-toting Instagram star. 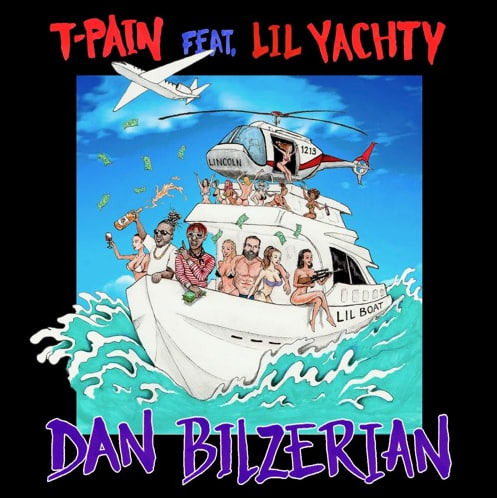 T-Pain has dropped off a new collaboration with Lil Yachty named after Dan Bilzerian, the controversial Instagram star with the beard and the guns. The collaboration seems natural: both T-Pain and Lil Yachty are misunderstood masters of the catchy, carefree tune and both have been accused of defacing their respective genres. On "Dan Bilzerian," they do what they do best, producing a ridiculously infectious earworm that's sure to follow you around for days to come. Listen to T-Pain's new track with Lil Yachty below.